This programme focuses on building skills specifically to selling to the different types of people involved in decision making in the construction sector. Delegates will first consider the key challenges facing this industry. The different needs of Architects, Quantity Surveyors, Consultants, Contractors, Purchasing, End Users, Operational and Commercial Directors will be reviewed. Delegates will develop a plan of how to influence and motivate each one to buy from them. This training course will help to develop delegates knowledge and skills to enhance effectiveness and will review key elements of selling to identify areas for improvement. Relationships form an important part of construction sales. Spearhead’s Relationship Value Profiling system, which has been specifically designed to aid individual ability to understand different personality types and how to best deal with each type, will be used on the programme. Each key stage of the construction sales process is considered during the two days, which will include a series of exercises aimed at enhancing understanding and building a tool kit of practical techniques that can be directly implemented by all delegates. Delegates will review the correct handling of customer meetings, identifying customer’s needs for each project and techniques for presenting their case. Delegates will consider the specific objections that they regularly encounter and develop actions to achieve positive outcomes. Negotiation is becoming a bigger part of the process in construction sales. With this in mind the training will cover the key aspects how to deal with customers in negotiations so as to minimise concessions. Towards the end of the second day delegates will develop their action plan for implementation in the regard to construction sales. 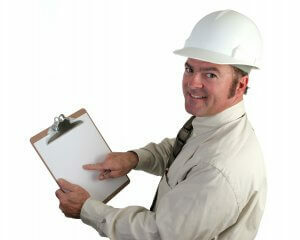 This construction sales training is specifically designed to develop the skills of teams who supply the industry. Spearhead has a successful track record of working with many leading providers in this industry. It is, therefore, one of the most cost effective ways to maximise opportunities and improve performance. For a very modest investment you can ensure that your team is carrying out the right actions to achieve results. This programme can also be tailored to meet the needs of your business. Please contact us for details of our training fees - call our office on 01608 644144 for further details or use the enquiry form. "Very engaging tuition. I have taken away a lot from the course"